Rick Stein The Road to Mexico airs on BBC2 at 9pm from Tuesday 7th November. 2015 saw Rick embark on a culinary trip from Venice to Istanbul, exploring Italy, Greece, Croatia and Turkey on route. 2016 was all about spending a Long Weekend in some of his favourite European cities, like Berlin, Reykjavik, Palermo and Vienna. Moving on to 2017, and Rick has been filming his latest BBC TV adventure, due to air in a seven-part series in the autumn, documenting the food and culture from San Francisco in California down to Oaxaca in Mexico. 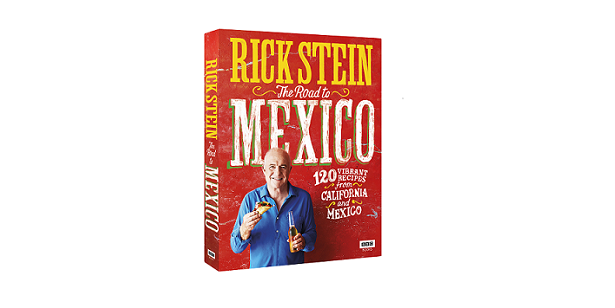 Rick Stein The Road to Mexico is inspired by a journey that he made in late 60’s, so expect to hear lots of nostalgic tales of how the countries have changed over the years and how the food has developed. It will be classic Rick – vibrant dishes, travel tips and a dash of art and culture thrown in for good measures. The accompanying book was published on 19th October and is available to order here.